Spedo UK Limited was initially incorporated in December 1987 as Arle Tech® Ltd and was formed to supply and maintain “Forms Handling Equipment” worldwide. Shortly afterward, following high demand, we opened our US office in Reisterstown MD. 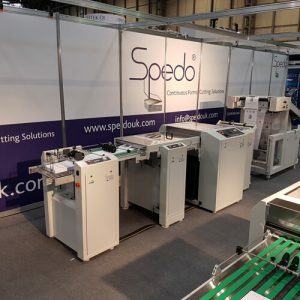 Initially offering Technical Service and Support for mailing equipment, the company has now evolved into a organization which includes its own R&D and extensive manufacturing facilities. Employing the latest technologies, the company offers its own range of cutters, forms handling equipment and accessories to a worldwide customer base from our US and UK headquarters.